For peoples and students who are all interested in Rubik's Cube Training in and around Chennai. The classes will be One on One Coaching. I will come to your convenient place and teach you to solve the cube. Fees is accepted only when learner is able to solve the entire Rubik's cube. "Teaching was good. Those tricks were common for all the cube levels. My daughter is solving fast till 4x4 Rubiks cube. Planning for 5x5. Logical thinking, Brain Improvement and mind is very clear. Vinod helped for studies also. " "Those steps and tricks taught to my kid is in his mind forever. Sometimes he can able to solve the cube without seeing also. Explained each and every concepts clearly. Thank you. " "The trainer was very punctual and was very helpful,fees was reasonable I would definitely recommend this trainer to my friends. " "Best one. I want to thank you for teaching me very easily. Tricks and few steps was mind blowing. Now, I can able to solve few steps without seeing the cube. I will recommend him to everyone very happily. You will get 100% satisfaction. " 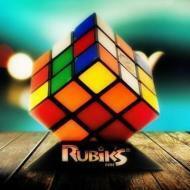 Rubiks Cube Classes conducts classes in Chess Coaching and Rubik's cube training . It is located in Anna Nagar, Chennai. It takes Regular Classes- at the Institute. It has got 4 reviews till now with 100% positive feedback.